...Or I guess I should write " ... Durt has nixed ... "
I had a baby on my lap and was typing with one hand when I wrote "Durt"! For some couples, having little kids results in the imposition of a monastic lifestyle -- hence, the need to fantasize about a foursome with crazy, but hot, MILFS like Michelle Bachman, Sarah Palin and Christine O (I guess she's just a BILF (i.e., Babe I'd like to ....)). The BIG.DK website has lots more [Chronological > 2011 > W57], showing how the building was conceived. And don't miss out the many-angled fly around video (click the last image [#29] on the BIG W57 page). 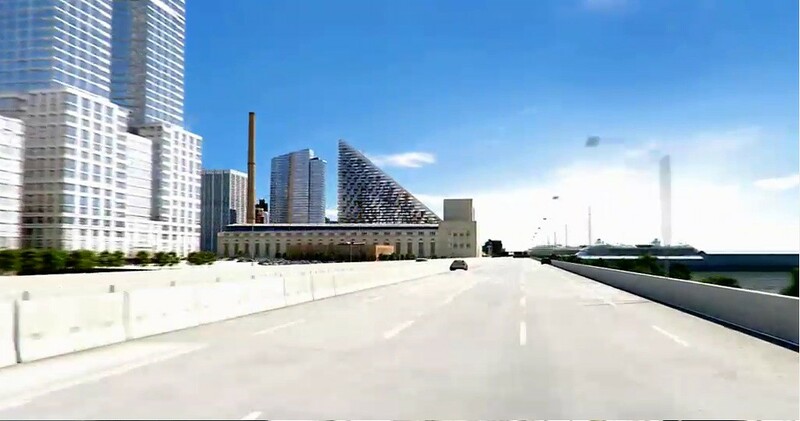 Interesting, hope it gets built. 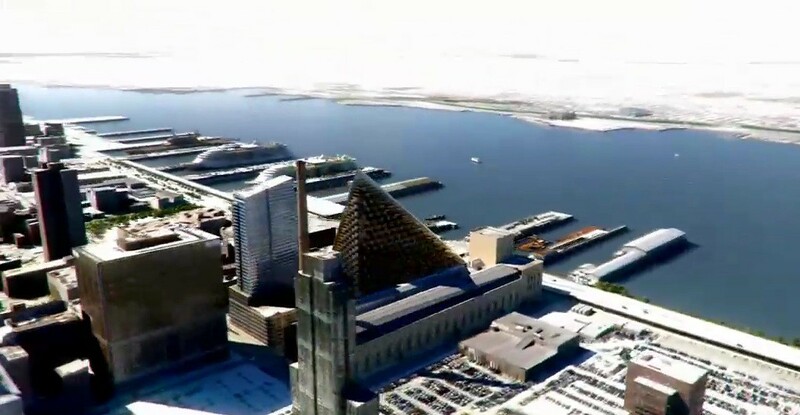 Lots of drainage and snow issues to deal with considering that entire west face is pretty much a roof. I like it. Some neighbors to the NE might not. Seems to be something of a view killer for the the newish residential buildings east of WEA at 59th / 60th. But maybe the new John Jay College building already took care of that. Although my politics are very liberal (and border on Social Democrat), compared to other forum members, my architectural tastes are very, very conservative. 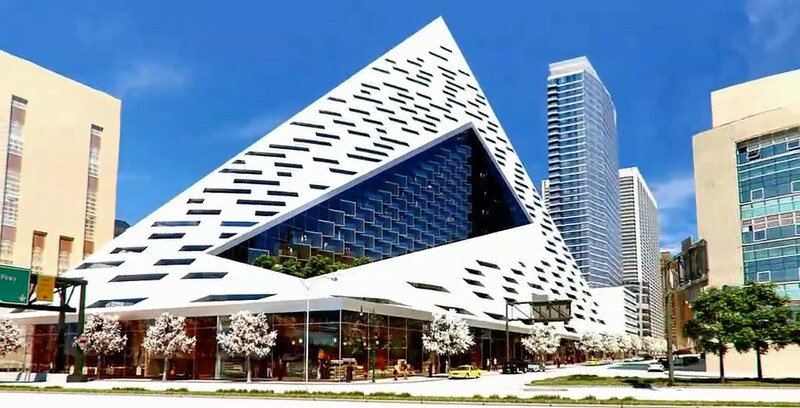 Nevertheless, I am delighted to admit that this is one of the best designs for a new building in New York that I have seen for many years. 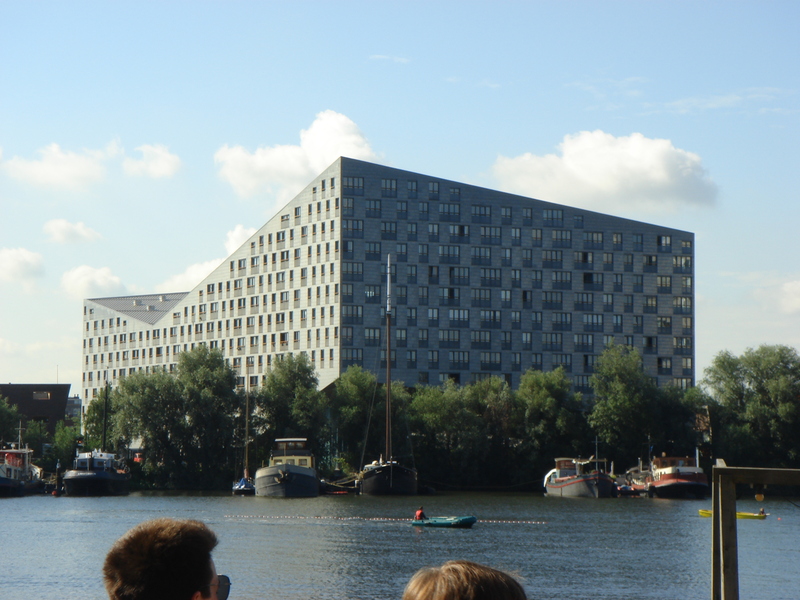 It reminds me of an Amsterdam docklands apartment building which I also like, the Whale in Borneo Sporenburg, which was completed in 2001 and designed by de Architekten Cie.
Last edited by ttk; February 7th, 2011 at 11:50 PM. Since this area is improving rapidly, I'd like to see the old John Jay building redeveloped. It's an eyesore. Hmm. It's ballsy, especially for New York. I'm not too big of a fan of its current design (the shape is too massive and bulky for the neighborhood), but I still fully support it as it is a giant leap in the right direction of developing the city. 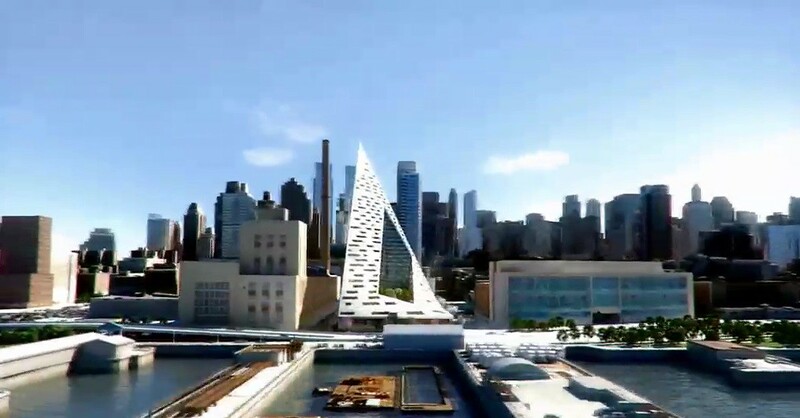 At least it would open the doors to more daring, innovative, European-style architecture and New Yorkers would realize than there is more to modern architecture than plain bulky office towers and cookie-cutter stacks of condo floors. The High Line area is already making a move in that direction, and look what a phenomenal success it is, even when you consider the most ardent nimbies. 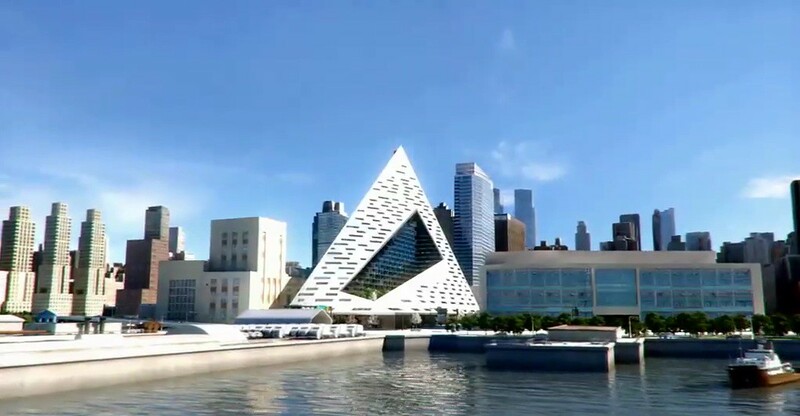 If New York continues this trend of innovative architecture, then perhaps the period between 1970's and today, with several notable exception, would be seen as a dark age of the city's architecture, when complacency took over innovation and refinement. The squat building on 10th right? I remember reading they plan to redevelop it once their new building is completed. I like it alot! If I had to nitpick about one thing its the base, the slope just isn't right just above it, its too squashed just to fill out the lot line, it doesn't have the same flow the rest of the building has. The rest of the building is genius, this isn't function following form as the shape allows almost all apartments a water view. The random window pattern we've seen all over the City is finally put on an interesting treatment and not a simple box for once! The slash in the middle is great, the protruding windows are great! Will this building be kitschy and dated? 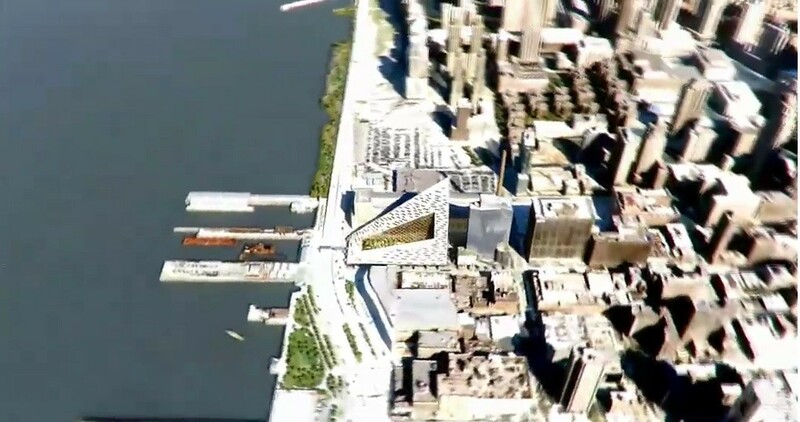 It already is, this is straight from the Montreal Expo, but it looks great nevertheless, just as the Montreal Olympic Stadium and Trans America Pyramid do today, a good eye for design is a good eye for design regardless of how far out the concept is. What a tour de force! A new icon for the skyline. A new way to think about a NYC courtyard. Tons of street retail and a new midblock street! It's a true gift to the neighborhood and a great link to Hudson River Park from Midtown. Kudos to Durst especially. Putting nearly every other developer to shame. I love this design, too. Obviously, I should have posted this here .